What Impact Does a Domestic Violence Finding Have on Child Custody? What Impact Does A Finding of Domestic Violence Have on a Child Custody Case? What is the impact of a domestic violence finding in a California child custody matter? What impact does domestic violence have on a child custody case? Does domestic violence even matter when a family law judge when he or she rules on issues like legal custody, physical custody and the amount of visitation? This article answers this often asked question. Divorce lawyers who represent alleged perpetrators of domestic violence in family court will likely tell you that these domestic violence cases often come out of nowhere. That is because a person claiming to be a victim of domestic violence can be in Family Court the same day or next day to seek a restraining order and can sometimes do so without advance notice. This gets the restraining order process underway where, within only a few weeks after the temporary orders are granted or denied, the Family Court has a full hearing on whether the allegations are true or not. So what happens if there is a finding of domestic violence? 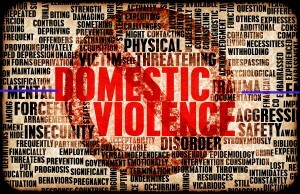 What impact does a finding of domestic violence have on physical and legal custody? Does that just mean the restrained parent has to stay away from the other one? Will custody stay the same? The answer is most often no. A finding of domestic violence by the Family Court can have a profound effect on a child custody case for years and that is how it should be. If the Court finds that a parent who seeks custody of a child (joint or otherwise) “perpetrated domestic violence” against the 1. other parent, 2. the child or 3. the child’s brothers or sisters, within the last five years, there is a presumption that the parent who committed the acts should not receive joint or sole legal or physical custody of the child. (c) For purposes of this section, a person has “perpetrated domestic violence” when he or she is found by the court to have intentionally or recklessly caused or attempted to cause bodily injury, or sexual assault, or to have placed a person in reasonable apprehension of imminent serious bodily injury to that person or to another, or to have engaged in any behavior involving, but not limited to, threatening, striking, harassing, destroying personal property or disturbing the peace of another, for which a court may issue an ex parte order pursuant to Section 6320 to protect the other party seeking custody of the child or to protect the child and the child’s siblings. (d) (1) For purposes of this section, the requirement of a finding by the court shall be satisfied by, among other things, and not limited to, evidence that a party seeking custody has been convicted within the previous five years, after a trial or a plea of guilty or no contest, of any crime against the other party that comes within the definition of domestic violence contained in Section 6211 and of abuse contained in Section 6203, including, but not limited to, a crime described in subdivision (e) of Section 243 of, or Section 261, 262, 273.5, 422, or 646.9 of, the Penal Code. (2) The requirement of a finding by the court shall also be satisfied if any court, whether that court hears or has heard the child custody proceedings or not, has made a finding pursuant to subdivision (a) based on conduct occurring within the previous five years. This “presumption” is important because it places a greater burden on the parent who was found to have committed the domestic violence to show why he or she should even get joint custody. The presumption doesn’t replace the best interest analysis that the Family Law judge has to consider when he or she rules on custody. What it does do however is require the parent who seeks custody with a domestic violence finding to carry a bigger burden to show it is in the child’s best interest to share legal and physical custody. How does a parent who has been found to have committed domestic violence overcome this presumption? Is it in the child’s best interest to give the parent joint or sole custody? Did the parent complete a batterer’s treatment program that meets the criteria of the California Penal Code. If alcohol or drug use was involved, one factor is whether the parent complete an appropriate counseling program to address those issues. Whether the parent completed a parenting class if the Family Court determines that was appropriate. Whether the parent is on probation or parole, and whether he or she has complied with those terms. Whether the parent has complied with the restraining order terms that were issued. Whether there has been further domestic violence. What can victims of domestic violence do in their child custody matters? If you have been a victim of domestic violence and have a potential or pending custody case, representation by experienced Orange County family law attorneys like those at our law firm is important. Protecting your children should be at the top of your priority list. If you have been falsely accused of domestic violence, do not walk into Family Court without an experienced divorce lawyer like those within our law firm. If you agree to have a restraining order against you or, just as bad, try to put on a hearing by yourself and lose, it can have serious adverse consequences to your change of getting joint custody of your child. Does Spousal Support Increase When Child Support Ends in California? How to Find the Right Divorce Attorney in Orange County? What Does Court Ordered Mediation in a Child Custody Case Involve? Sexual Orientation, Religion or Handicap Affect a Child Custody Case?